Theories are like opinions, and opinions are like... well. What I mean is that everyone has one, and they're all over the Internet. What fan theory do you love? What "mind-blowing" theories have ever actually blown your mind? We've rounded up the ones that'll completely change how you see a game, from some clandestine couplings to ones that dig very deep into the lore to explain why certain characters have oddly specific skills. Read on for the most enthralling of the lot, and prepare to have your mind blown! though the same could be said even if you have. A Kairi look-alike and pseudo-member of Organization XIII, Xion played a major role in Kingdom Hearts 358/2 Days, then was promptly never mentioned again. She's also another memory collection box, and ultimately allows herself to be absorbed by Roxas, adding her to the babushka doll that is Sora and OH MY GOD WHY IS KINGDOM HEARTS SO COMPLICATED. as Sora's ability to dual-wield keyblades. Squint and the evidence is there: In 358/2 Days, Roxas is unable to dual-wield, which is otherwise his signature skill. An item can be purchased to give him the ability, but only after he absorbs Xion. Plus, Xion's left-handed, a useful attribute, given the circumstances. This information puts Xion as the source of Roxas' dual-wielding ability and spreads her influence throughout the games, improving 358/2 Days' connection to the rest of the series and actually explaining a story mechanic: a rare occurrence in a Kingdom Hearts game. Nintendo has been pretty reveal-happy these last few years in regard to Legend of Zelda, especially since the release of the Hyrule Historia. However, as thorough as that book is, it still leaves plenty of unanswered questions. For instance, where did Majora's Mask come from? Who wished that special screaming hell on poor Link? One theory points the finger at the Twili, a race of twilight-dwelling humanoids from Twilight Princess who happen to have a deadly mask of their own. The Fused Shadow, an old and powerful mask, is said to have been constructed by an ancient Twili progenitor race who tried to use it to take over Hyrule. The plan failed and they were sealed in the Twilight Realm, along with the mask. 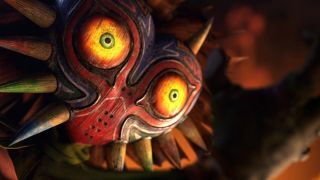 That story bears a striking resemblance to the tale of Majora's Mask, which was constructed by "Ancient Ones" and sealed away "in shadow" due to its power. The fact that the masks look pretty similar seals the deal: the Ancient Twili and the Ancient Ones are one in the same, fleshing out another aspect of Hyrule's expansive universe. While TF2 might seem too uncoordinated to have any theories associated with it, the material is there. You just have to follow the bodies. The TF2 comics put the events of the game in the 1950s, but they don't mind throwing in things like cellphones or robots. Is it because Valve doesn't care about Team Fortress' continuity, or is there something more complicated going on? Well, it's on this list, so you'd better just assume it's the second one. Some believe that the technology that regenerates the mercenaries allows them to keep fighting indefinitely, and they have continued to do so decade after decade after decade. According to this theory, Scout buying an Apple headset isn't anachronistic. He's just regenerated so many times that he's now in the 2000s and can easily get one. The odd idea actually does a lot for gameplay-story cohesion, which is more than any other aspect of this game can say. We've heard the "Peach is Bowser Jr.'s mom" theory. We know the "Each Zelda game is a different retelling of the same legend" idea. By now, the "Bowser is an empty cadaver being controlled by King Boo" argument has gotten old. Nintendo fans pop out theories like Mario pops coins, and if there's one thing these games have in common, it's the ability to inspire more with each new iteration. If there's a second thing they have in common, it might be the universe in which they exist. The Mother Brain of all Nintendo theories suggests that all Nintendo games occur in the same world. Propelled by sightings of Peach's crown in Pikmin 2 and Metroids in Kid Icarus, believers have searched out references to Link in Donkey Kong Country, likenesses between Kirby characters and Boos, and so many portraits of Mario and Luigi in Legend of Zelda that it surely can't be a coincidence. It all comes to a head in Super Smash Bros., as the Nintendo heroes fight to save the world... from each other. Did someone say awesome? Some theories are going to be bizarre by nature, and sometimes you just have to sit back and go along for the ride. You might come upon an interesting idea or two - like the theory that Portal's main character is actually the daughter of Aperture's perilously narcissistic ex-CEO and an evil supercomputer villain. Oh, Valve fans, what won't you say?! This one pulls together tidbits of information from the Portal canon (mostly Portal 2) and smashes them together like a halogen collider. First, there's the child's science experiment found in the Aperture Labs with Chell's name written on it, proving she was the daughter of an Aperture Scientist. Then there's the hinted relationship between Cave Johnson and his assistant Caroline. And before anyone mentions Cave's age, remember, Chell's adopted. Throw in the weirdly maternal moments toward the end of the game and the fact that the lyrics of the Turret Opera center around a parent saying goodbye to their child, and the results seem statistically significant, empirically proving this associative hypothesis has compelling objective merit. Science. Perhaps the most controversial fan theory of the last generation comes in the form of a Band-Aid placed over fan outrage: the suggestion that the ending of Mass Effect 3 is all an illusion caused by the Reapers indoctrinating Shepherd. This is one that will likely divide the gaming community for years to come. And I've got a paragraph to make its case. Here we go. We know from Mass Effect lore that exposure to Reaper technology increases the chance of successful indoctrination, and that Shepherd has spent a distressing amount of time around the stuff. We know that she had weird hallucinations (which is said to be a sign of indoctrination) and we know that the ending is a little off, at times. We also know that blue is good and red is bad; so why, after Shepherd has been attacked by Harbinger, is the option that saves the Reapers seen in blue and the option that destroys them seen in red? The theory says that these cues signal Shepherd's indoctrination, which brings the battle with the Reapers down to an intrinsic level as the main character fights them in his/her own mind. That poor Limbo kid. It's bad enough that he wakes up in the middle of a monochromatic, spider-filled forest with no indication of how he got there, and that he gets smashed, gored, drowned, shocked, mind-controlled and eaten on the reg' throughout his journey. Then you get the theory that this torment goes on indefinitely, and it becomes just plain cruel. This theory is based on the idea that Limbo opens and closes in the same location, under the same circumstances: the boy wakes up in a forest clearing, goes through his sawblade and brain-slug-filled adventure, and finishes his journey... waking up in a forest clearing. The game menu connects the two nicely, placing the ending screenshot as a backdrop behind the new game option. Add in that "Limbo" is both a solemn place between heaven and hell and, figuratively, any "indefinite state," and what this theory is proposing is sound: each time you play, you're completing another cycle of the boy's unending journey, giving the player a real feeling of being "in Limbo."